Get more for your money at the Quality Inn hotel in West Springfield, MA near Six Flags New England. 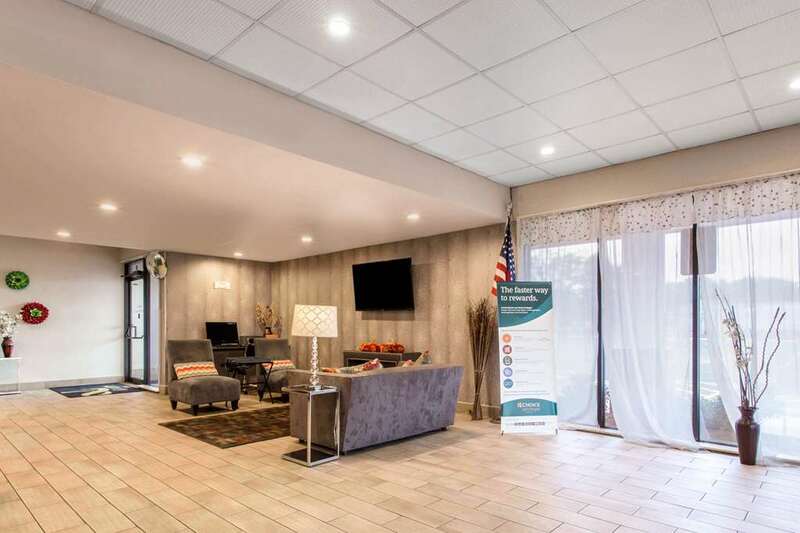 Located off Interstate 91, this smoke-free hotel is part of the Springfield metro area and is near Naismith Memorial Basketball Hall of Fame, Bradley International Airport, Eastern States Exposition, University of Massachusetts Amherst and Amherst College. Get more value with amenities like free breakfast, free WiFi, a seasonal outdoor pool, an on-site restaurant, a business center and a free newspaper. Rooms include a TV, coffee maker and hair dryer. Some rooms have irons and ironing boards. Also, earn rewards including free nights and gift cards with our Choice Privileges Rewards program. Guest must be 21 years or older to check in, Identification will be required at the time of check in. Pet accommodations: 35.00 USD/ stay per pet for over 30 lbs, 25.00USD/ stay per pet for less then 30 lbs. Pet limits: maximum 2 pets per room, up to 85 pounds each.